Established in 2000 by Dr Monika Pawlowski the practice is located in a modern surgery in the Burraneer Shopping Village. 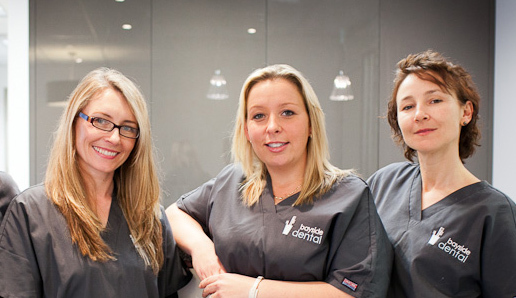 The experienced dentists and dental assistants at Bayside Dental share a common passion for dentistry, keeping up to date on the latest clinical and sterilisation procedures. Our clinic has recently been granted national accreditation an achievement we are all very proud of. A small, close team of approachable and knowledgeable clinicians we pride ourselves on being competent, gentle and caring, with a healthy sense of humour. Our patients receive the highest quality treatments tailored to individual needs and budgets. Graduated from the University of Adelaide. Relocated to Sydney in 1997 and has worked and lived in the Sutherland Shire ever since. Dedicated her profession and aims to provide her patients with an enjoyable and relaxed dental experience. Dr Pawlowski is a member of the Australian Dental Association and the St George Dental Association. She speaks fluent Polish. Outside of dentistry she is most passionate about her family, good food and the outdoors. 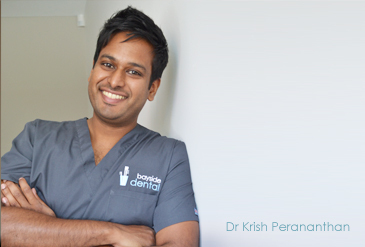 Dr Krish has found dentistry most rewarding when he creates and maintains his patient’s smiles and health. He has a eye for detail and will always offer his patient’s the best available options. His interest in Cosmetic and Implant Dentistry lead him to Melbourne to complete a 2 year Postgraduate course in Dental Implants at the University of Melbourne. This allows his patients to receive the most up-to-date scientific based dental treatment. He is a member of the International Team of Implantology. When Dr Krish isn’t at the Dental Practice you will find him playing sports or checking out local restaurants. He also enjoys traveling and has recently been to Cambodia to volunteer as a dentist at a rural school. Dr Elina is originally from Brazil and has been living in Australia since 2003. She has a bubbly personality and enjoys children’s and cosmetic dentistry. Currently Dr Elina is completing a 2 year mini residency in Orthodontics, an area of dentistry which she is particularly passionate about. 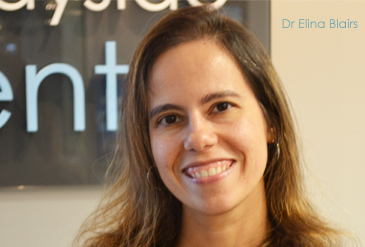 Dr Elina speaks fluent Portuguese and Spanish and is a member of the Australian Dental Association. Outside of dentistry her interests include spending time with her family and friends, traveling, cooking and studying languages.